Mrs. Alice Marie Sweet, age 92, passed away Sunday, March 25, 2018. 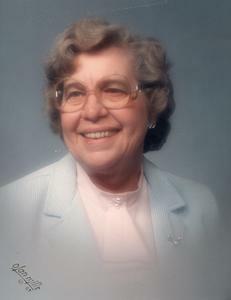 She was born in Muskegon, Michigan on December 22, 1925 to Harry & Teresa (Hartman) Dutmer. She married Robert Nesbitt and had three children. She later married Robert Sweet on October 22, 1974. Alice had been employed as a telephone operator before becoming a homemaker. She was a member of Sheridan Road Church of Christ and enjoyed volunteering there, as well as, playing the piano at Berean Church. She also was a member of the Eastern Star and volunteered singing and playing piano. Alice started her own band "Melody Five" that played at several local nursing homes. Children, Gayle (Jim) of MN, Mark Nesbitt of Muskegon, David Nesbitt of Muskegon; grandchildren, Brianna & Benjamin Ridl; 3 step children; 9 step grandchildren; several step great grandchildren; siblings, Kathryn, Mary, Martin & Mary. He was preceded in death by 1st husband, Robert Nesbitt; 2nd husband, Robert Sweet and one step daughter. Friday, October 19, 2018, 11:00 AM at Sunrise Memorial Gardens. MEMORIAL: Sheridan Road Church of Christ.